The greatest deal of fun in this picture was drawing the pile o’ huskies. 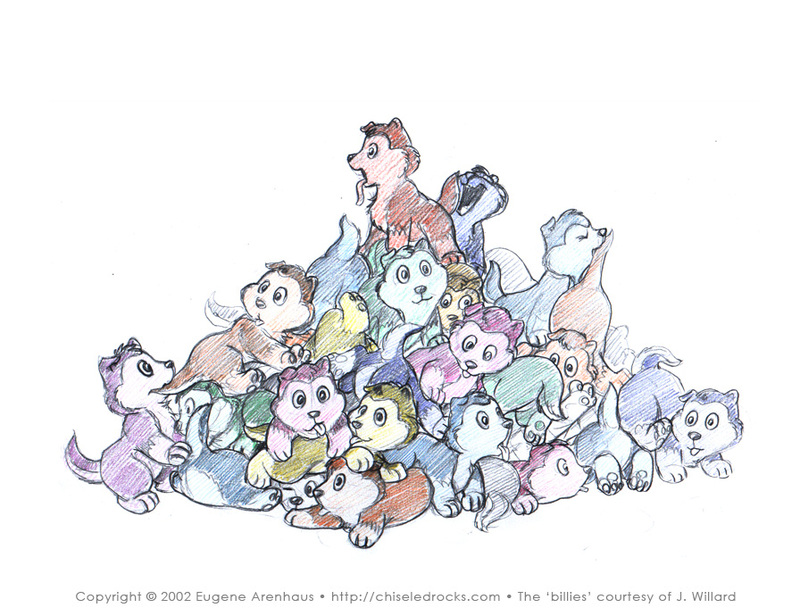 As a matter of fact, it’s not just a pile of huskies, and not even a pile of stuffed huskies, it’s a pile of billies. What’s a billie? The answer may cost you your sanity. Don’t miss the sketches too: I drew quite a few wacky billies in preparation to this illustration.